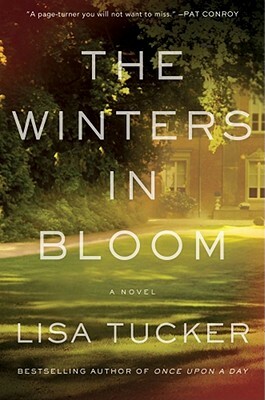 In bestselling author Lisa Tucker’s latest, a family discovers that it’s only when the walls between the present and past crumble that the future can bloom. Together for over a decade, Kyra and David Winter are happier than they ever thought they could be. They have a comfortable home, stable careers, and a young son, Michael, who they love more than anything. Yet because of their complicated histories, Kyra and David have always feared that this domestic bliss couldn’t last - that the life they created was destined to be disrupted. And on one perfectly average summer day, it is: Michael disappears from his own backyard. Lisa Tucker is the bestselling author of The Promised World, The Cure for Modern Life, Once Upon a Day, Shout Down the Moon and The Song Reader. Her short work has appeared in Seventeen, Pages and The Oxford American. She lives in Pennsylvania with her family. “Brilliant, tender, and riveting. Reading The Winters in Bloom is like falling into some beguiling dream, one you don’t want to wake from. Lisa Tucker has not described a world; she has created one unlike any you’ve never seen. She has breathed life into her characters, and they will breathe life into you.” —John Dufresne, author of Requiem, Mass.